Michael is a cryptocurrency enthusiast and a self-taught programmer. (He likes to say he knows just enough to be dangerous.) By day he works on his family’s farm. When he has time at night, he frequents the crypto forums to gain as much knowledge as he can and to keep up with new developments in the space. Most of his evenings are spent doing paperwork for the farm. Believe it or not, it’s a complicated business to track, with his biggest challenges arising around taking his produce to market. For each food category, he must track the timing and path from harvest to table, with stops at graineries and farmer’s markets along the way. Michael has an entrepreneurial mindset, and it did not take long for him to realize that there is a point where the two worlds collide: Blockchain technology is the perfect tech to leverage to track and verify his harvest from the fields all the way to the table, ensuring as little waste and product loss as possible. He found a developer that agreed to take his current processes, using spreadsheets and various miscellaneous planning software programs, and develop a real supply chain management utility dApp to track and validate his products throughout the stops required in the go-to-market process. Not only will it simplify his life, it can be marketed to others in the industry.. 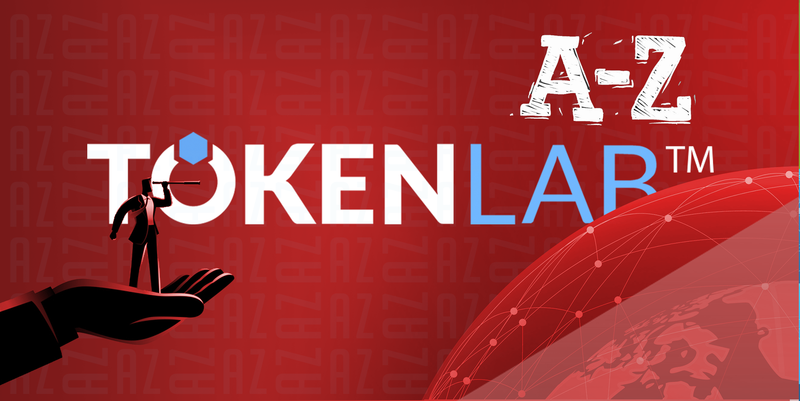 He knows from his exposure to the cryptocurrency markets that he wants to tokenize his new dApp.That’s where the ecosystem around Tokenlab comes in.The first step is to mint a token for his BIG idea using the Token Wizard. It provides the tools he needs to easily and inexpensively mint his own token to run on the Expanse blockchain. Not only that, the Tokenlab Module Marketplace is a one-stop-shop he can access to find other utility software dApps to help him market his new software and run his business. Should he need to raise money to pay his developer and package his product,Tokenlab provides the administration capability for crowdfunding, as well. And he can list his token on EXPEX, the decentralized exchange, for frictionless peer-to-peer trading (launching 1st ‘qtr 2019).. Finally, to begin the minting process, Michael is prompted to send 1000 LAB and 1000 EXP to the address provided. After about 20 minutes, the smart contracts are created, the process is complete and the FXP tokens appear in his Luna Wallet. As you know, EXPEX, our decentralized exchange for peer-to-peer trading, has been through beta-testing.The feedback from the testers was very positive, with just a few outstanding user interface items left to be addressed. With Tokenlab about to launch, it is more important than ever that we deliver EXPEX so that the newly-minted tokens can be listed on it. Subsequent to the beta-test, the decision was made to have EXPEX reside within the Luna Wallet. This will require some additional programming, but it will allow for more frictionless trading. At the same time, our founder, Christopher, is creating another Tokenlab component, UKYC, which will be made available.on the Module Marketplace. Universal Know Your Customer provides user identity verification for your products or for members of your organizations―anywhere validating identity is required. Here’s how it works: Tokenlab UKYC creates a profile for each user that signs up and completes the KYC requirements. Once approved, the profile is assigned a “badge” in the form of a barcode. This badge can then be used wherever KYC is required. There is no need to complete the cumbersome KYC process ever again. Simply scan your badge anywhere the UKYC symbol appears. Companies everywhere will leverage our UKYC badge system for a nominal fee. Watch for the release of UKYC late in the first quarter. 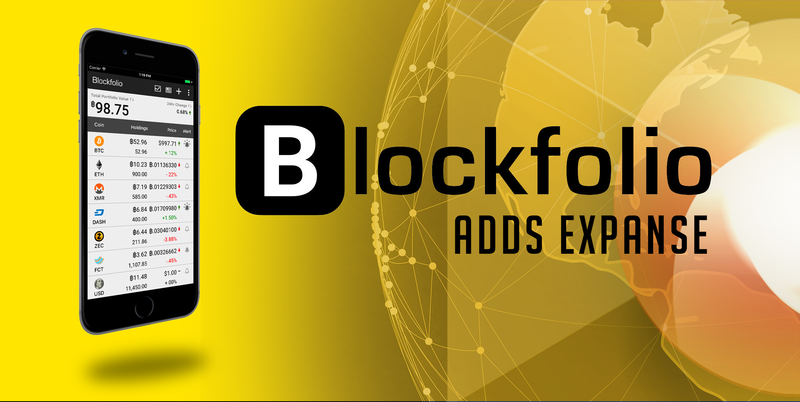 Blockfolio Signal is a communications platform built exclusively for token teams to engage and and connect with their communities.Given the committed community Expanse has built, we were offered the opportunity to partner with Blockfolio to take advantage of the unique communication capabilities they have built.The Expanse leadership team will have the ability to instantly send “Signals” to our supporters with alerts about important happenings. Signals from Expanse are important push notifications from the leadership team only. The signals are routed to everyone who follows Expanse on Blockfolio. You can join for free at https://blockfolio.com/signal. Expanse will send Signals to amplify only the most time-sensitive and important special alerts. Watch for Expanse to be added to the Blockfolio dashboard this week. 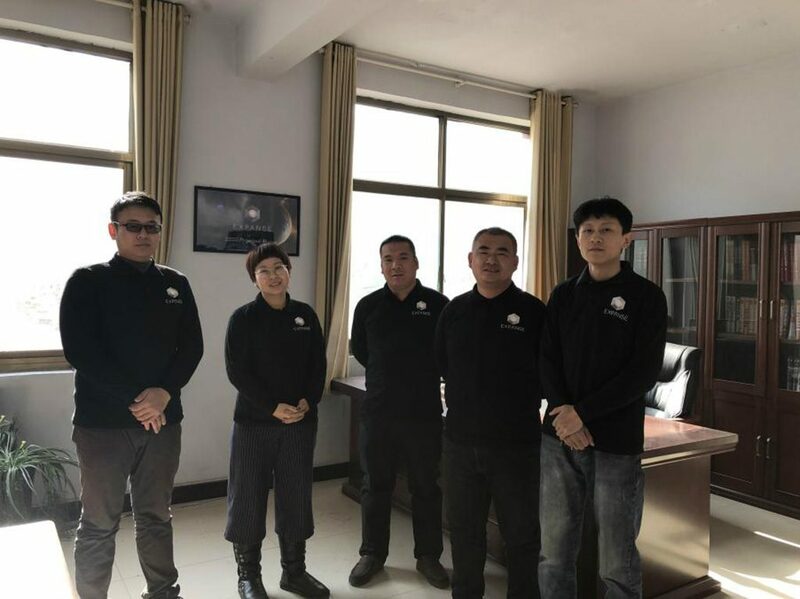 Our Expanse team in China, under the leadership of Alex Zhao, (@alex_China), has formalized their collaboration by joining together to work out of a communal office. 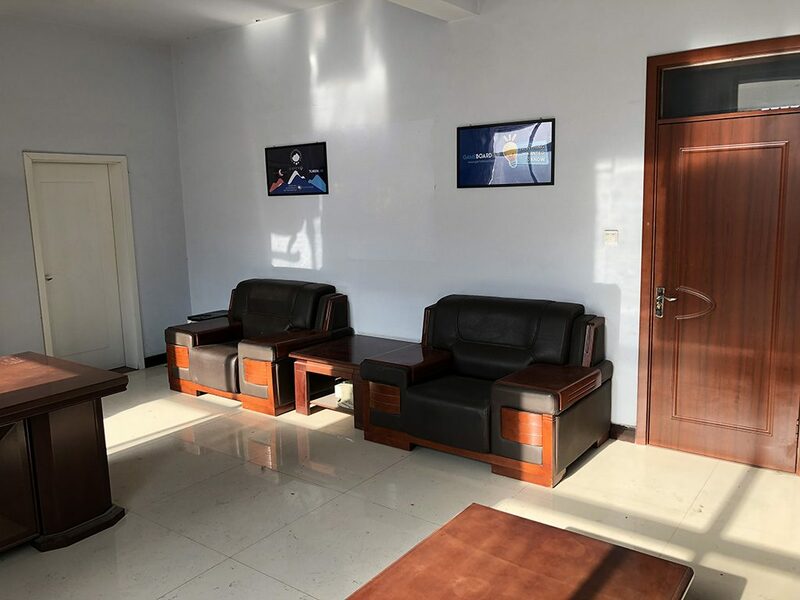 The office is located in Lucheng Business Building A-7-17, Handan City, Hebei Province, China. 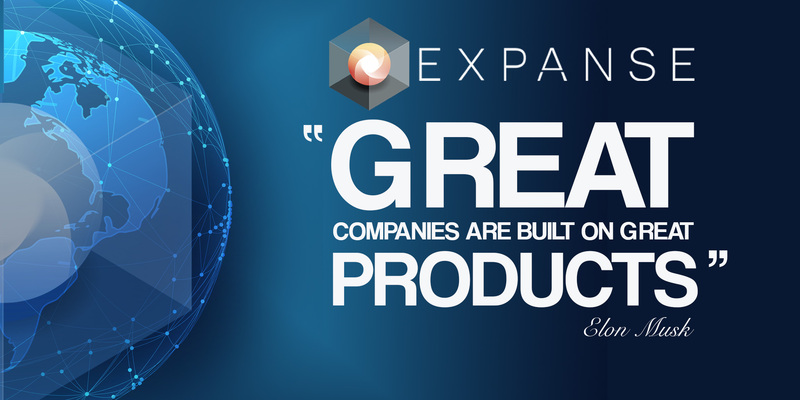 In addition to marketing activities designed to get the word out about Expanse, Alex and his team are interviewing technology companies who have approached them about developing dApps on the Expanse blockchain. Alex has extended his personal invitation to all digital currency enthusiasts to stop by the Expanse office for a visit whenever you are in the neighborhood. The good news – SLIPS is ready! Check out slips.io. The team has burnt the midnight oil to create an awesome platform we are all proud of. Next step? To be able to function as a full-fledged gaming site, they need a gaming license. Now, in the last newsletter, as also in Husain’s Medium post, we had informed you that the process of acquiring a gaming license is a time-consuming and costly affair. From setting up a company in a gaming regulations-friendly country (Malta, preferably) to hiring legal assistance and paying fees for a license, it is a tough way ahead. However, the team has found a clever, albeit temporary, workaround that would still allow you to play and bet on SLIPS. They have created a shop which they call the WarChest. They have just finished working on the design for the WarChest. This is SLIPS’ brand new shop that will be bolted onto SLIPS and lets you spend all your EXP and Slips Lite balances to buy cool stuff like clothing, hardware, games, etc. We hear that it was Christopher’s idea. While the team works its way around the gaming license problem, they needed a sink for people who buy and bet on the SLIPS platform with EXP (you can’t yet withdraw it) so this shop concept was created. There are some items in the store you can purchase with crypto and mark up. There will be other items that will be bought by SLIPS and offered to players in very limited stock (e.g., gift cards). Gaming fans will love things like crates, which give you a random probability of items. So hopefully this little feature will give SLIPS a way to go “live” and test the product out without running a full gambling shop. There is obviously a lot of work to be done – building the CMS, APIs and the front end, etc,. – but the design, as always, looks great! Check out slips.io and do not hesitate to ask questions on the SLIPS Discord channel. 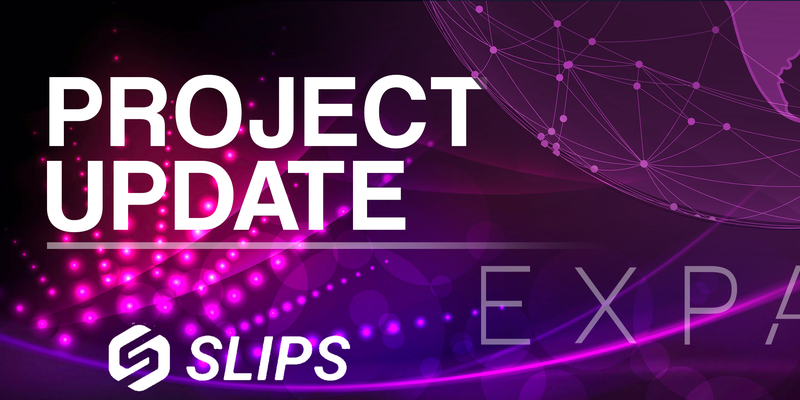 We hope SLIPS gets all the regulatory licenses and starts a full-fledged gaming platform soon. John graduated in Digital Graphic Design and Multimedia in 1998. It was the time his country, Colombia, like many Latin American countries, was experiencing a transition from traditional design to the era of digital design powered by the boom in desktop computers. John realized the importance of this trend and later focused his energies to also learn web programing, while working in digital design companies. After finishing his studies, he found that there was great demand for graphic designers, but companies required a combination of designers and programmers. This prompted him to start learning programming. “From the very beginning, I realized that learning new technologies was not going to be possible in traditional centers of learning, like Universities, since the rate at which technology was progressing was way faster than what Universities were able to cope with and come up with new courses and programs.” John started attending seminars and training groups with other engineers in his city and participated in chats with experts and specialists from other countries to learn programming skills. Today, John is a Senior Front-End and Back-End Developer, with proven skills in web design. He works for several companies in the United States and Spain. 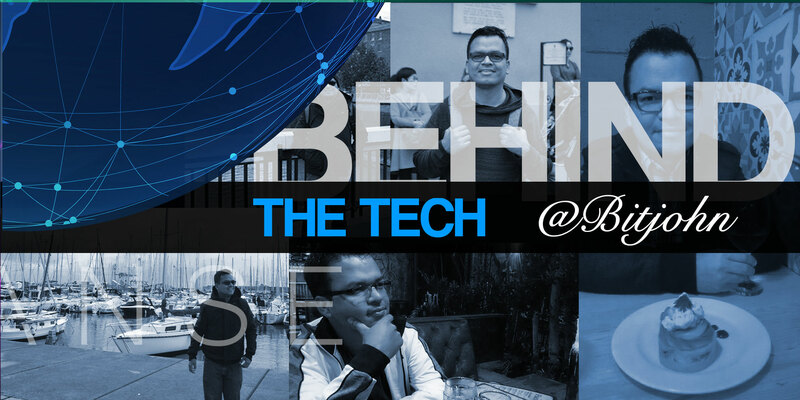 John remembers his earliest days working in digital technology companies. He says that digital technology at the time was progressing with leaps and bounds and within only months, there were advances and updates in software/hardware they had to be constantly informed of for their clients. “It was a fascinating time for us. I believe I belong to an exciting generation who has seen the coming of technology that is the precursor of all that we see today. The transition we experienced still raise fond memories,” says John of the time he witnessed during the beginning of the new millennium. “Earlier, everything was based on a desktop computer; later I had to keep myself up-to-date with mobile technology and now with tablets and Smart Watches! Everything has turned smart,” says John with a chuckle. When asked what when and how he entered the crypto field, John says, “I’ve been in the fascinating world of cryptocurrencies since just over two years, but I’ve been reading about Bitcoin since 2010, like many other crypto enthusiasts. I made several faucets that allowed me to have my first digital coins.” At the end of 2017, John started mining ETH on his MacBook using the popular Minergate App. He signed up for the chat and had the opportunity to meet and chat with other miners who helped him in optimizing his mining activities. John performed some tests together with other miners and started mining Expanse. They were able to mine some EXPs so later they entered the community on Telegram, and then on Slack and finally on Discord. Today, as you all know, John is an active member on the Expanse Discord channel as a collaborator for, what he feels is, an “amazing community.” He is particularly active on the Spanish channel, where he offers help to new users who want to know more about the Expanse projects or to fellow miners who are interested in EXP. John is also in charge of the “ProMineros” community that aims to promote and perform Expanse Collaborative Mining. He is in constant communication with Omar so that this ‘Collab Mining’ can be done effectively. John says that he loves reading Expanse Newsletters as they provide clear, succinct information about new developments and gives a sneak peek into things to come. For other queries, the Discord channel is a great place to ask questions and get quick answers. John says that he loves being a part of the Expanse community. “I take this opportunity to thank the entire Expanse team for their dedication during these turbulent times of worldwide instability and the indecisive regulatory landscape. The confidence they have in themselves and the work they are doing rubs off on the entire community and fills them with hope. We expect many good things from Expanse in 2019,” he says, signing off.